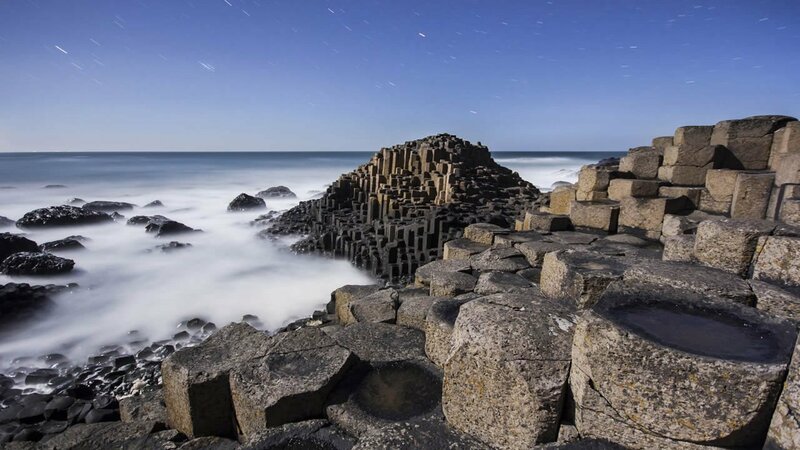 You can now visit the breathtaking Giant's Causeway & Antrim Coast plus get a 48 hour unlimited hop on/hop off Belfast City Sightseeing tour ticket and entry into the Titanic Belfast experience for just £48.00! This fantastic price gives you great value, and the freedom to travel on any date that suits you. When booking online, choose the date for your Giants Causeway Tour and then simply use your Belfast City Sightseeing tour ticket and titanic experience on any other day during your stay. You can even split up the two days of your Belfast City Sightseeing tour ticket either side of your trip to the Giants Causeway! Titanic Belfast is an unbelievable, unmissable experience. 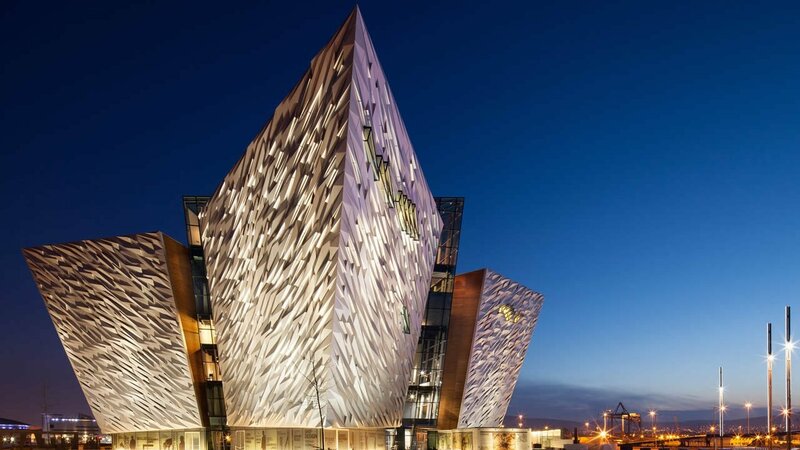 Located in the heart of Belfast right beside the historic site of this world-famous ship’s construction, Titanic Belfast is the World’s Largest Titanic Visitor Experience. Your ticket even includes entry into the SS Nomadic - actual tender ship to the Titanic. The SS Nomadic is the last of the White Star Line ships still afloat today. Originally built in Harland and Wolff shipyards alongside her bigger sisters, she was to be a tender to the RMS Olympic and RMS Titanic. On board you will see the living history of the White Star Line ships as well as finding out about the rich history of the ship which survived two wars and outlasted all of her sister ships. 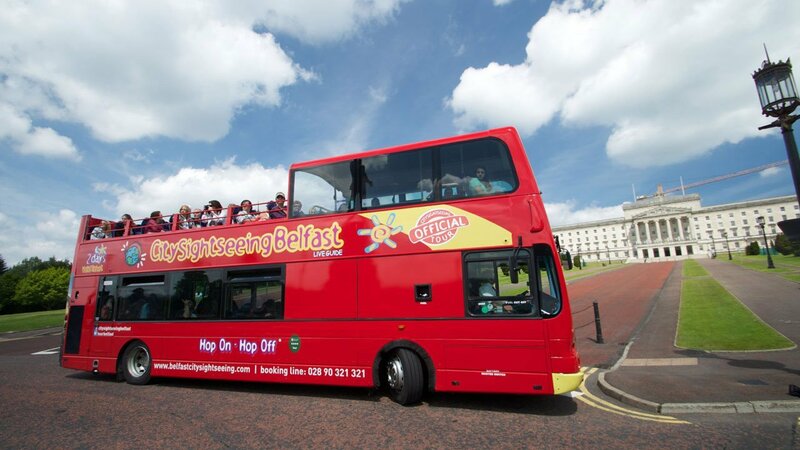 The Belfast City Sightseeing Open Top Hop On/Hop Off Bus Tour provides you with a comprehensive look at our very special city and allows you to explore every area and district of this unique place. Our tour operates seven days per week and tickets are valid for 24 hours for single day pass holders, or 48 hours for 2 day pass holders. If you do not Hop on/Hop off the tour lasts approx 1 hour 30 minutes. Tours depart from High Street (outside the national bar) in Belfast city centre but you can join the tour from any stop along the route. We are the only operator to offer a multi-lingual service available in six languages including, English, French, Spanish, Italian, German and Mandarin. For more information on any of these tours, you can call our booking office on 028 9031 0101 or simply ask at your hotel reception. PLEASE NOTE ALL TIMINGS ARE APPROXIMATE AND SUBJECT TO CHANGE. CITYSIGHTSEEING BELFAST WILL NOT BE HELD RESPONSIBLE FOR DELAYS. You can take your Belfast City Sightseeing tour on 2 consecutive days before or after your day tour or split your travel a day either side. Children under 3 years of age can travel free. Any children over the age of 3 must have a ticket. Please note last admission is 1 hour 45 minutes before closing time.